Dean Smith has served as the Associate Dean since the founding of the Law School. 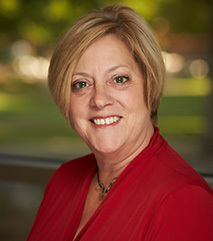 She came to the Boyd School of Law with more than 40 years of experience in educational administration. She serves on many university, state bar, and community committees. Prior to joining the Boyd School of Law, she served as Assistant Dean of Student Services at Arizona State University College of Law, supervising all student services functions, including the Admissions Office, Career Services Office, and Student Financial Assistance. She earned a B.S. in Marketing from Arizona State University and a Master of Education/Educational Leadership with distinction from Northern Arizona University.